The Council of East and Central Africa Football Association (CECAFA) has felicitated its vice president and Somali FA boss, Abdiqani Said Arab on his winning of the African Football leader of the year award. “We take pride in this because this is one of our members who has committed himself to the development of football in his country and in the zone. Despite the numerous challenges in his country, Abdiqani has done his best when he was the Secretary General before he was elected chairman. 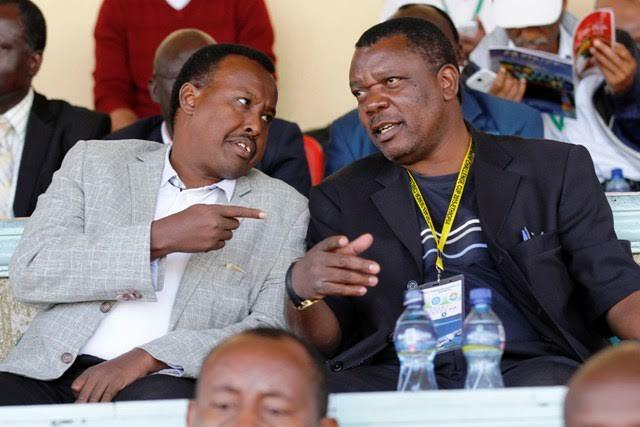 CECAFA nominated him as vice chairman on Monday this week” the congratulatory letter noted. CECAFA Secretary General Nicholas Musonye said that this honor will inspire the people of Somalia to embrace peace and use the power of football to promote harmony in their country. “We thank CAF for recognizing hard-working people” explained Mr. Nicholas Musonye, himself a key driving force of the East and Central Africa Football.